Sure, many will argue that the best, most authentic North Carolina barbecue can be found about an hour north, in Lexington (aka the Barbecue Capital of the World). 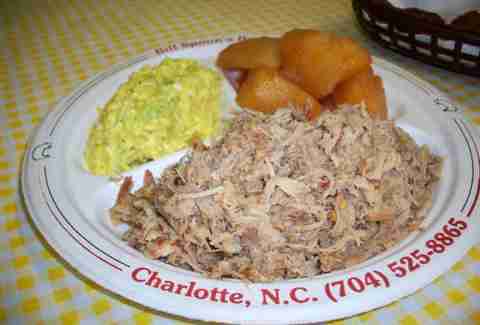 But that doesn’t mean Charlotte can’t hold its own in terms of delicious, mouth-watering pig plates. 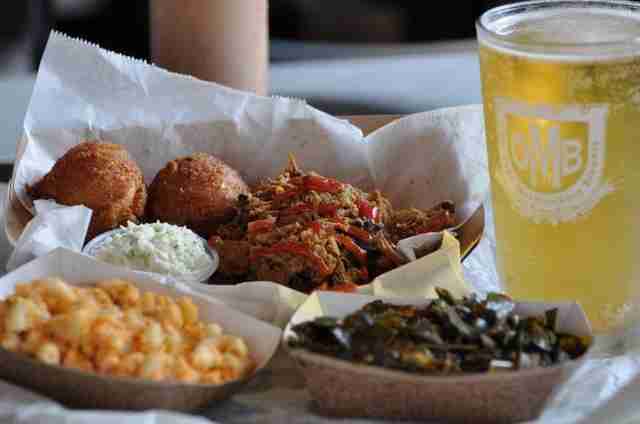 From chopped whole-hog to pulled pork shoulder, ribs to brisket, we don’t discriminate here in the Queen City. 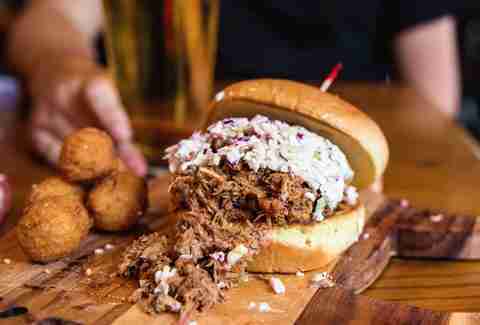 Here are 10 establishments in and around Charlotte that offer up the tastiest options -- both Western and Eastern style -- so you can satisfy all of your barbecue desires. 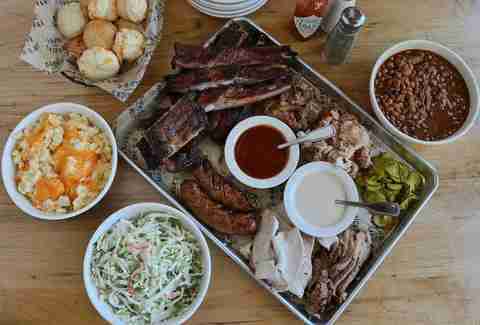 Part barbecue joint, part biker bar, Mac’s Speed Shop is famous around town for making one mean BBQ plate. 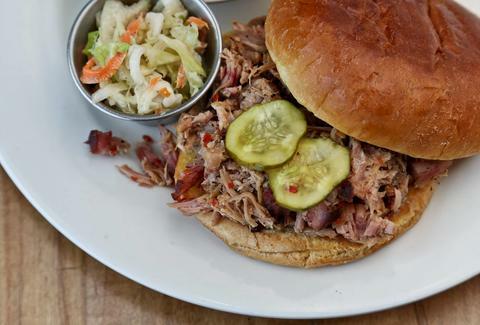 The pork here is smoked, pulled, and then tossed in the restaurant’s own Carolina BBQ sauce. Just make sure to pair it with a cold draft: the place has an extensive array of beers that will help chase down that massive amount of meat you’re about to inhale. Sauceman’s Lexington-style barbecue is slow-smoked for more than 12 hours over a mix of local hickory and white oak, just to give it the ultimate flavor. Order yours plain, or packed between two thick slices of Texas toast, for a specialty sandwich like the Dixie Cuban, which is topped with pimento cheese and fried pickles. 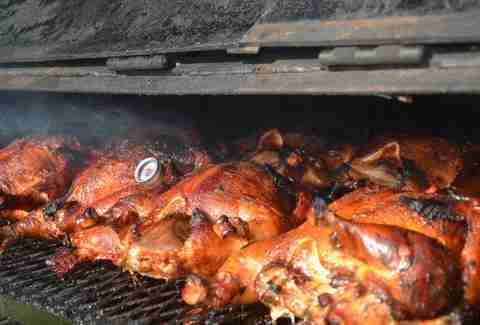 This joint has served Charlotte’s whole-hog lovers for more than half a century. Today, founder Bill Spoon’s grandson runs the restaurant, but you can be sure to find the same Eastern-style, award-winning barbecue that made this a Southern staple in the first place -- and of course, its original house-made hot sauce. Bubba’s serves up some of the greatest Eastern-style swine in the area by using a 33-hour process to cook the whole hog. Snag a sample for yourself and you’ll understand why it’s earned the title of third-best BBQ in the state by Southern Living. 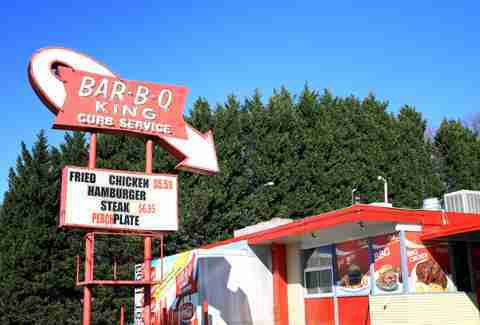 This historic hole in the wall has been serving BBQ sandwiches curbside since 1959. In fact, it’s one of Charlotte’s few remaining drive-ins, and not much has changed since its early days. The place is still just as authentic as ever, offering up some house-made BBQ sauce that’s truly one of a kind. The old-school experience (plus those famous onion rings) make the trip back in time well worth the cruise down Wilkinson. Come hungry to this family-owned favorite; you’ll be met with a generous helping of barbecue to accompany a long list of classic sides like mac and cheese, collard greens, and cabbage. You can’t go wrong with any of the choices. But as the slogan notes, “it’s all in da’ sauce,” according to owner Bob Roberts, who has spent years perfecting his own ideal blend. 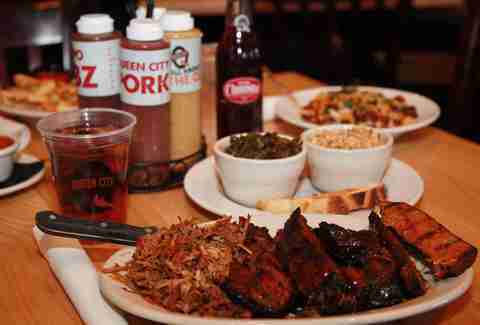 Queen City Q’s menu is full of smoked masterpieces, including pork, brisket, ribs, and sausage. Can’t decide between the options in front of you? Give in to the gluttonous glory and order a Q platter full of all your yearnings. Then, concoct your own finish depending on your personal preference by using the house-made sauces arranged on your tabletop, ranging from vinegar- to mustard-based mixes. The Smoke Pit not only delivers some insanely tasty barbecue, but it has even been voted the best restaurant in Concord overall. The flavorful meats and large portions bring in roughly 700 people daily. We strongly recommend you try to be one of them. Courtney Matinata is a freelance writer for Thrillist residing in Charlotte, NC.